Eleven-year-old Neela dreams of being a famous musician, performing for admiring crowds on her traditional Indian stringed instrument. Her particular instrument was a gift from her grandmother-intricately carved with a mysterious-looking dragon. When this special family heirloom vanishes from a local church, strange clues surface: a tea kettle ornamented with a familiar pointy-faced dragon, a threatening note, a connection to a famous dead musician, and even a legendary curse. The clues point all the way to India, where it seems that Neela's instrument has a long history of vanishing and reappearing. Even if Neela does track it down, will she be able to stop it from disappearing again? 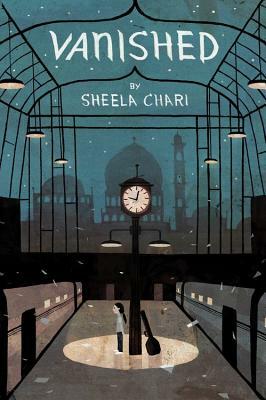 Sheela Chari's debut novel is a finely tuned story of coincidence and fate, trust and deceit, music and mystery. Sheela Chari (www.sheelachari.com) was born in Bangalore, India, and has lived in Iowa, Washington State, California, Massachusetts, and New York. She holds an MFA degree in Creative Writing from New York University. This is her first novel.